$25.00 includes shipping within the US. This book is also available as an eBook on iTunes and Amazon. Available in Tucson at the Pima Air and Space Museum and at Mostly Books. In early autumn of 1941 WWII was already raging in Europe. Ten young men made the choice to enter the USAAF before the war came to America. Leaving families behind they began their training at bases scattered across Texas. In January, 1942, after the attack on Pearl Harbor and America’s entry into the war, they came together at Randolph Field in San Antonio, Texas, for basic training. Randolph was known as the West Point of the Air at that time and the cadets wore blue uniforms complete with white gloves and sabers. It was decided to change the uniform to olive drab coveralls due to the increased number of future pilots entering the service. The ten young men and their classmates would be the last to wear the formal attire. 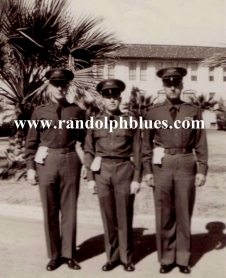 They would be the last of the Randolph Blues. Last of the Randolph Blues is the story of ten WWII pilots who graduated from flight school in May 1942. These were young men. Many had never traveled far from their hometowns. Now they were on the edge of the Saharan Desert suffering from hemorrhoids, poor food, cold temperatures at night, excessive heat in daytime, and always the uncertainty of surviving the next day. They lived in mostly miserable conditions so close to the enemy lines they might be, and were, killed by attacking aircraft at any moment. Last of the Randolph Blues contains the pilots' diary entries, letters to their families, and letters from the families to the pilots. Coupled with hundreds of photos and interviews with the survivors and their families, the reader is given an inside and very personal look at what life was like for these men as well as the effects it had on their families. The pilots' personal accounts are tied together using Daily Supplemental Reports of the 1st Fighter Group, the 27th Fighter Squadron and the 60th Fighter Squadron gathered from Maxwell AFB Historical Center. There are also reports and photos from the National Archives. The reports are often stark, covering not just the exciting air battles but also the drudgery, boredom and fear of the men's day-to-day lives on the front. Daily casualties and the scores of the squadron baseball games are listed side by side. USAF Brigadier General James Hart Ret. It is well researched. It was easy for me to understand and tie each segment together because I was once an Aviation Cadet, and the terminology, aircraft types and military writing are all familiar to me. I think the book will be of interest to historians and families who had relatives in WW II and the U.S. Army Air Corps. I am totally amazed at the work required to locate, document and reproduce all the material that has been collected to make up this book. Gary W. Metz was born in central Illinois and has resided in Tucson, Arizona, since 1972. Metz has had a life-long interest in aircraft and also studied history in college. Gary Metz is a member of the P-38 National Association and the 1st Fighter Group Association, and has written articles for their newsletters. 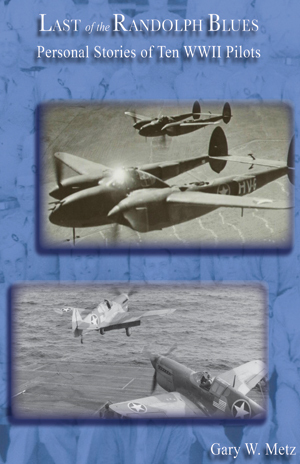 Metz has a story in the compilation work P-38 Lightning Unforgettable Missions of Skill, Luck and Courage and has had articles published in LOGBOOK, an aviation history magazine. In addition Gary Metz is acknowledged as a contributing source for P-40s of the Mediterranean by Tomasz Szlagor and was interviewed for the documentary North Africa 1942-43 Survivors' Stories by Michael Fraticelli. The research Gary Metz did for his book, Last of the Randolph Blues, began in late 1980s. Metz started out looking for information on his uncle, a WWII pilot, and to find out more about his uncle's military career. Metz read extensively on the subject, interviewed dozens of veterans and their families and did research at the National Archives and Maxwell Air Force Historical Research Agency. 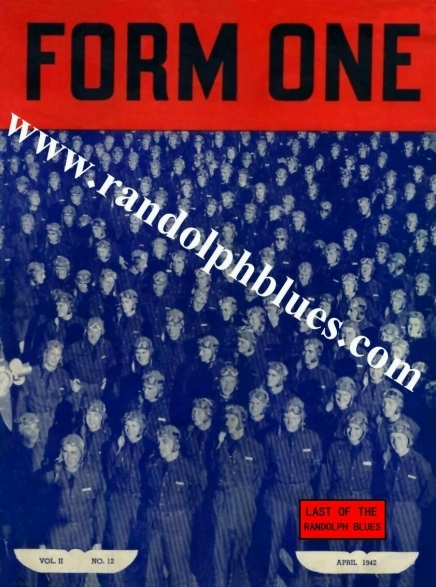 Although Last of the Randolph Blues was initially intended for Metz' family alone, it began to expand to the other families involved. 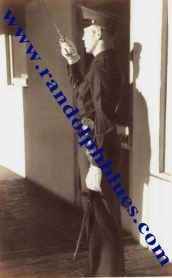 The connections made during his exhaustive research brought out the volumes of letters, photos, diaries, and military records that make up Last of the Randolph Blues.